Stirrup hook earrings in sterling silver. 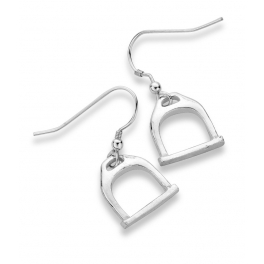 These delightful sterling silver earrings from our horse jewellery (jewelry) range have a stirrup design on each hook. Perfect for any occasion, they would make a stunning addition to any equine lover’s collection and come presented in our black leatherette presentation box.